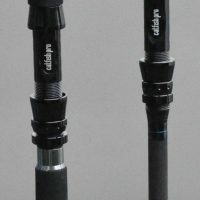 At Catfish-Pro we have taken a lot of time to develop catfish rods designing for catfishing first. 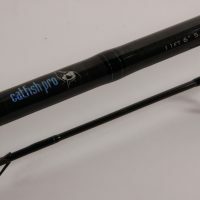 Many so called catfish rods on the market are just carp rods or just rebadged spod rods, but the Catfish-Pro Persuader range is packed with design features to suit catfishing. Firstly, all of the range have large metal reel seats that can accommodate big pit style reels. The rods all have plenty of rings to suit the action of the rod and give you better playing performance. Catfish will fight very hard and the name Persuader was chosen to reflect how best to play catfish. 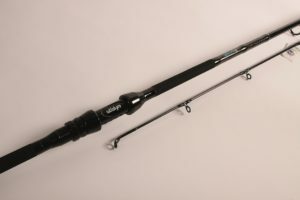 This rod will absorb the catfish runs and deliver you power when you need it as well as being able to cast out heavy baits. 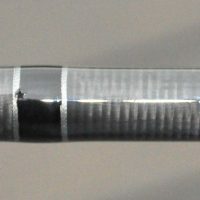 This is a particular advantage over spod rods which are purely designed to cast out heavy weights and not to play fish. The Persuader rods also have grip points above the reel seat to allow more comfortable playing of catfish.